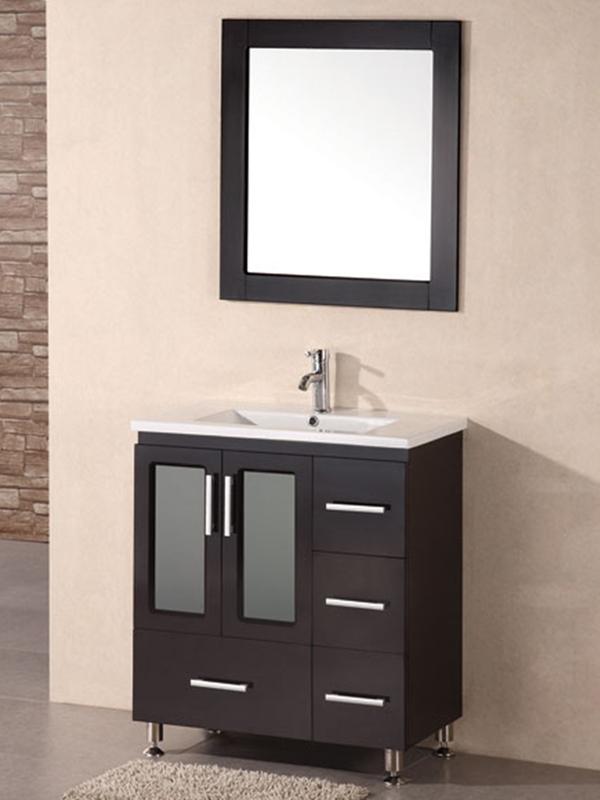 The Stanton Modern Vanity is sleek and stylish with its clean lines, satin nickel finish hardware, and espresso finish. The integrated porcelain sink and counter top enhances its sleek look and minimalist design, making this vanity a great example of modern design. 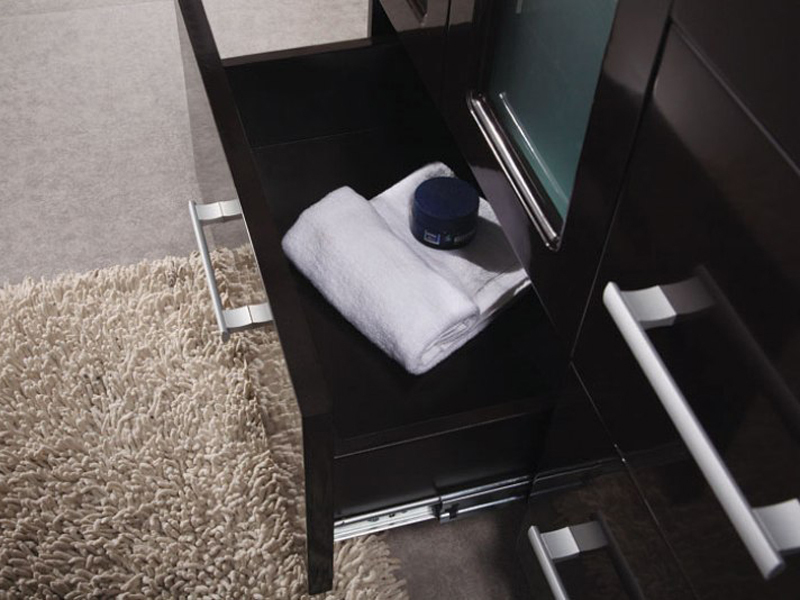 Not only does this single vanity look great, it is practical too with its ample storage space. 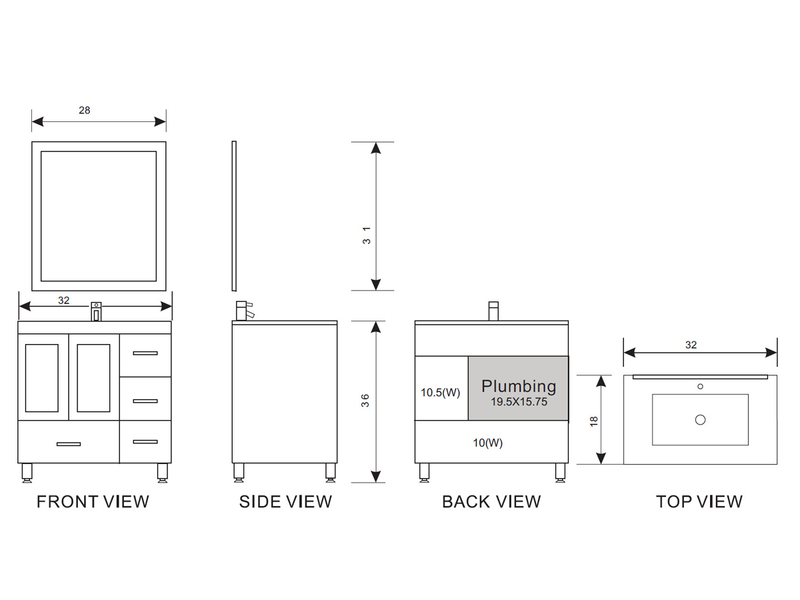 With four drawers and a double door cabinet, this vanity has plenty of storage for your bathroom accessories. A matching framed mirror is conveniently included with this vanity.